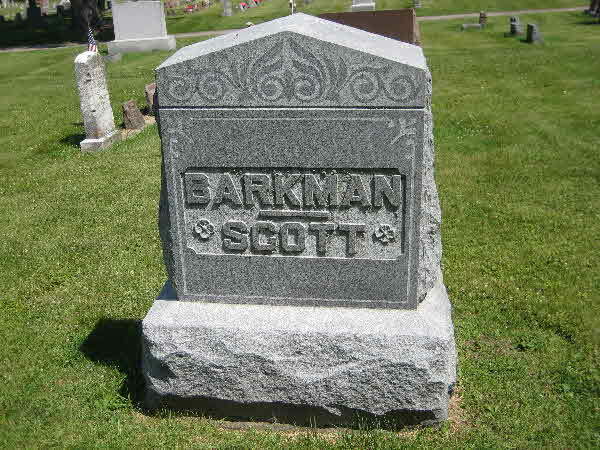 Burial* He was buried in Riverside Cemetery, Block 28, Oshkosh, Winnebago, Wisconsin, United States. [S1] Ancestry.ca, online \Ancestry.ca\, Tomlinson Family Tree. Hereinafter cited as Ancestry.ca. 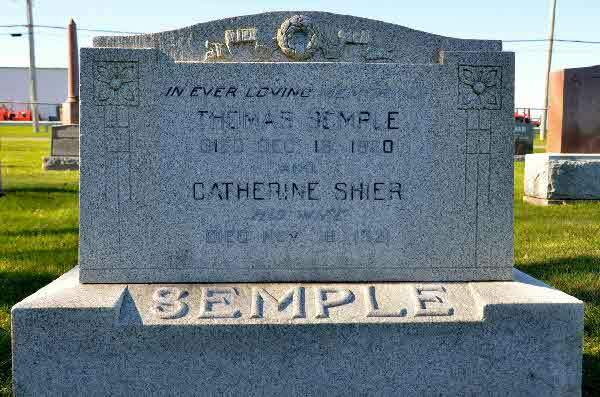 Marriage* Thomas Semple married Catherine Shier, daughter of Henry John Shier and Mary Ann Switzer, on 17 March 1880 in Brock Twp., Ontario County, Ontario, Canada. 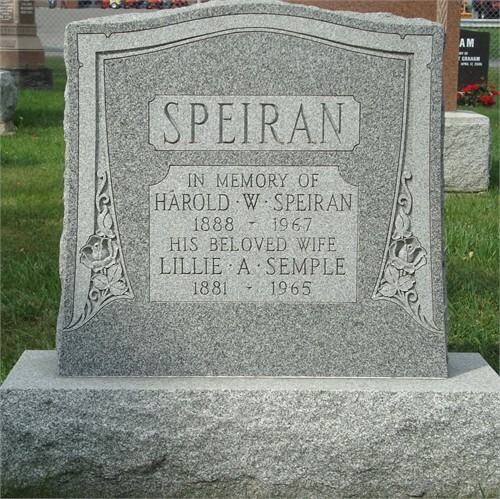 Burial* He was buried in Sunderland Cemetery, Sunderland, Ontario County, Ontario, Canada. 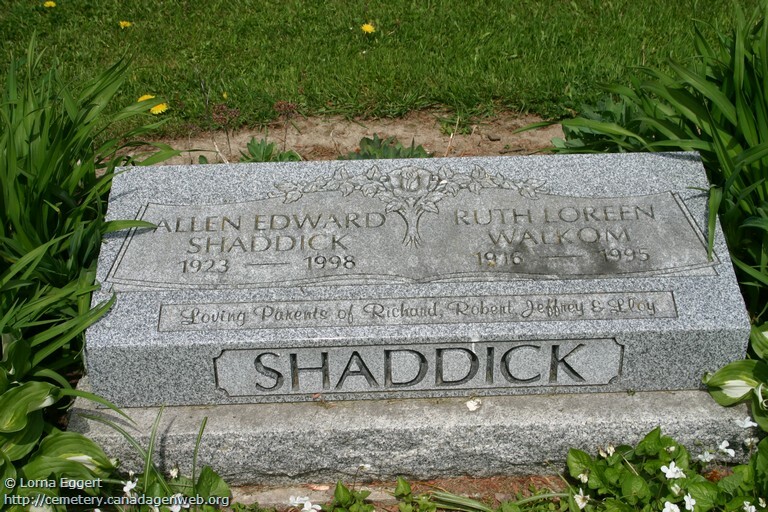 Burial* She was buried in Cedar Vale Cemetery, Cannington, Ontario County, Ontario, Canada. Death* Ruth Serepta died on 29 December 1954 in Lassen County, California, United States, at age 62; Susanville, California. 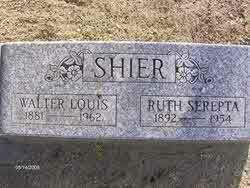 - Funeral Services were held at the Owen Funeral Chapel for Mrs. Ruth Serepta Shier who died in her home here Dec. 29. She was a notive of Oklahoma. 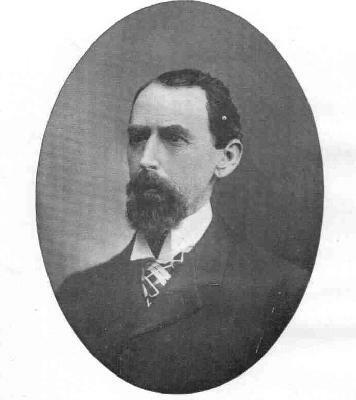 Robert L. Dale Of Johnstonville officated. 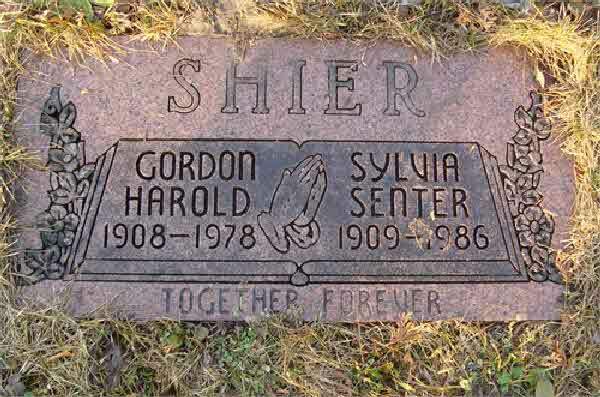 She is survied by her husband, Wlater Louis Shier; two sons, Delbert L. Shier of Granta Pass, Oregon; and Roy E. Shier, Stockton; a daughter, Mrs. Florence L. Harper, Grants Pass Oregon; and two brothers, George E. Hathaway, Carmichael, Calif., and Forest Hathaway, Chico. 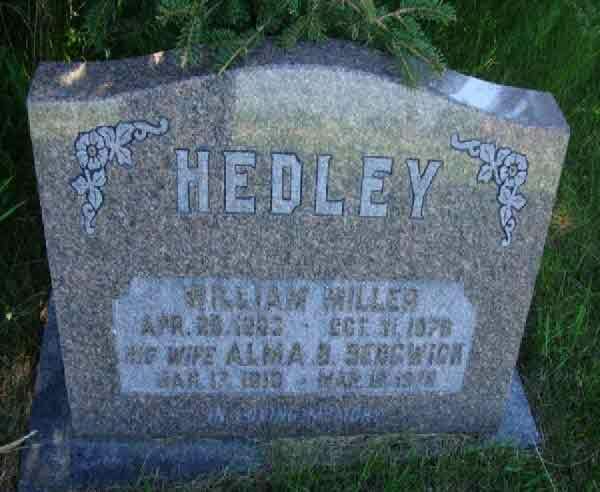 Burial* She was buried in Jonesville Cemetery, Jonesville, Lassen County, California, United States. 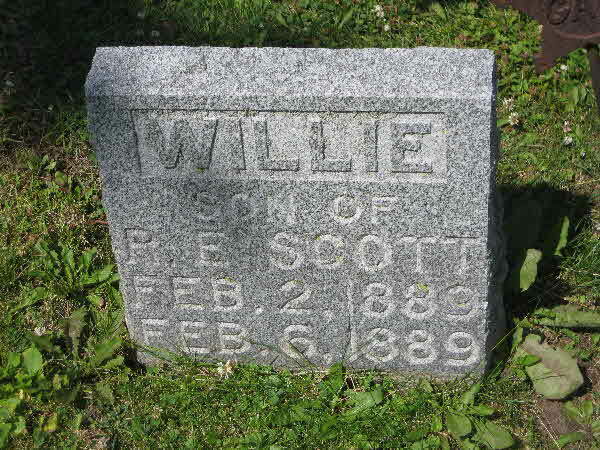 Burial* He was buried in Bethel Munroe Cemetery, Fullarton Twp., Perth County, Ontario, Canada. Birth* Ralph Sharpe was born on 20 August 1905 in Northumberland County, Ontario, Canada. 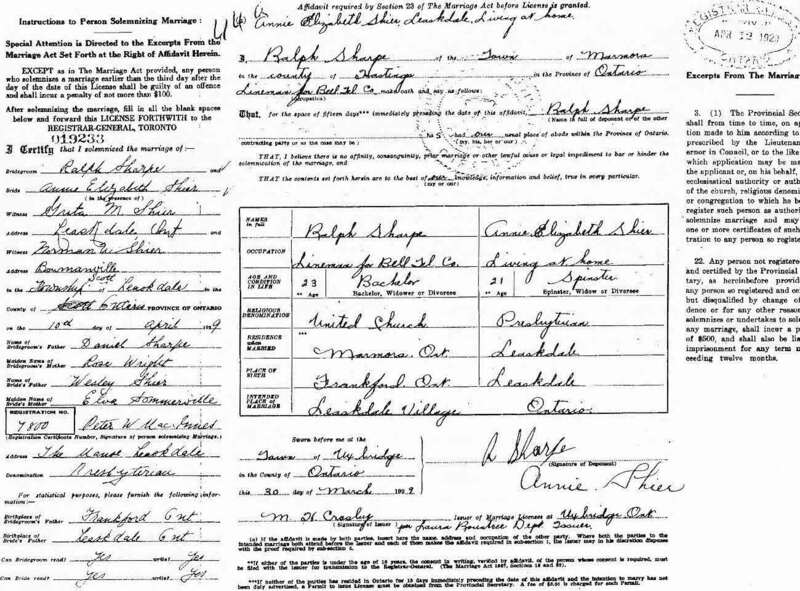 Marriage* Ralph Sharpe married Annie Elizabeth Shier, daughter of John WESLEY Shier and Elva Alena Somerville, on 10 April 1929 in Scott Twp., Leaksdale, Ontario County, Ontario, Canada. (Witness) Fact 1 Garnet Shaw witnessed the Fact 1 of Lornetta Vera Shaw; Photo of Lornetta and Garnet Shaw. (Witness) Fact 1 Lorna Marion Shaw witnessed the Fact 1 of John Adam Shier in 1936; John Adam Shier, his daughter, granddaughter and g-granddaughter. 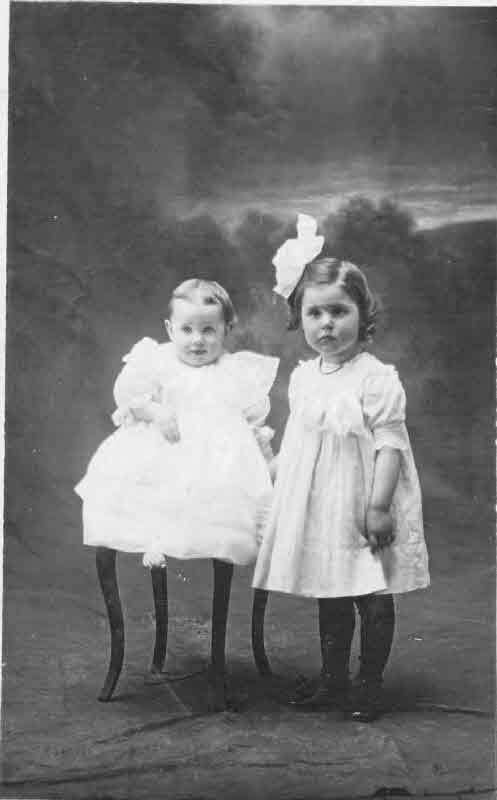 Fact 1 Photo of Lornetta and Garnet Shaw.